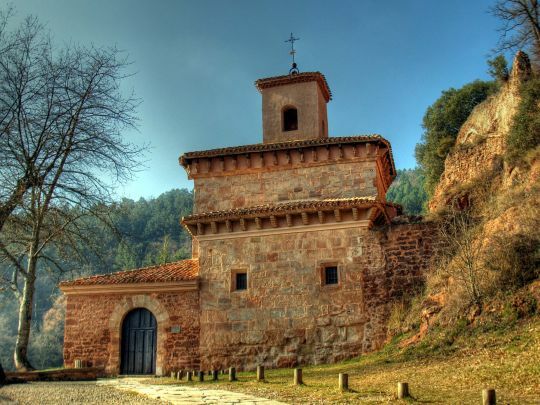 Tucked away in the hills of La Rioja are two small monasteries with very important histories. The first is the Monastery of Suso, which dates to the 6th century CE, and stands on a hill overlooking the valley of San Millan de Cogolla. 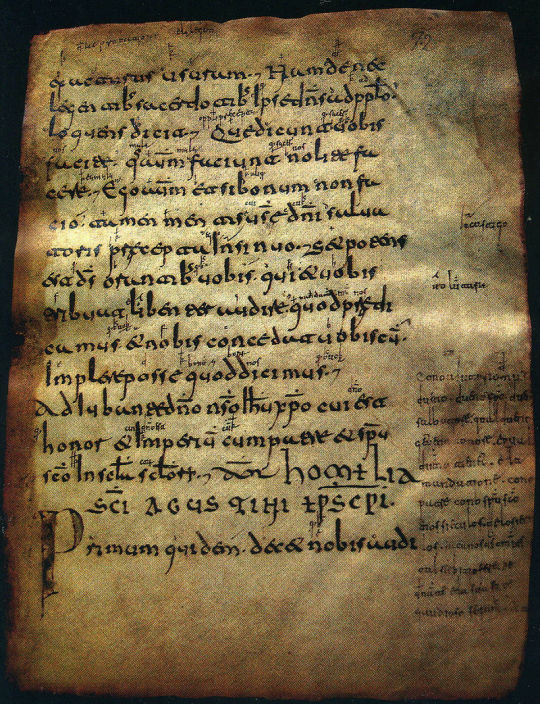 In this humble, pre-Romanesque building, the Glosas Emilianenses, a most important document, was written. 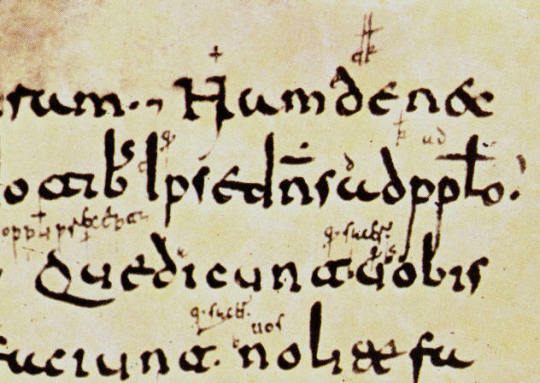 These glosses are the first written evidences of Archaic Castillian and Archaic Basque. *(it is worth noting here that the monk was likely native but could have been from the surrounding area, as some of the place names do not appear to be in Archaic Castillian. Still, it could be those were the only names used at the time, as well, thus no more can be truly discerned). For anyone curious you can listen to the full restored pronunciation done by the famous Spanish poet and philologist, Dámaso Alonso here for extra nerding out. And then further down the hill in the valley we have the Monastery of Yuso (the “lower one” in Archaic Castillian), which houses one of the most important and valuable libraries in Spain. In its collection you’ll find 17th-century hymn books, thirty gigantic books of between 40 and 60 kilos, made from the hides of two thousand Riojan cows. Holy moley. To learn more about Suso and Yuso, you can go to the UNESCO World Heritage Sites webpage. Want to see Suso and Yuso for yourself? We can help with that. Ask now! The world is an incredible place. We want to help you explore it.